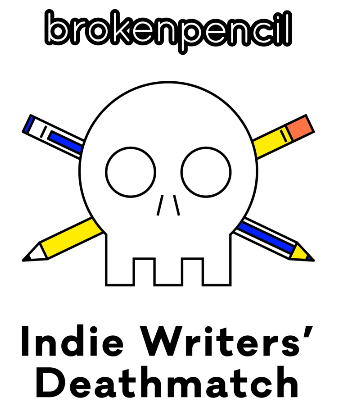 There Is a War has been selected as one of the sixteen Battle Royale competitors in this year’s Indie Writers’ Deathmatch. Since 2008, Broken Pencil, the magazine of zine culture and the independent arts, has been running the world’s most audacious short story contest — The Indie Writers’ Deathmatch Short Story Contest. In the Deathmatch short story contest, the top 16 stories as selected by the Broken Pencil editors are pitted against each other in our online arena. In the online arena, anyone and everyone can read the stories and vote on which one deserves to reign supreme. The authors will be in constant communication with their audience through the comment boards, and they can hype up their own story, or trash-talk their opponent’s writing. The winning story moves on to the next round until there are only two stories left, battling it out for ultimate victory! With over 100,000 votes cast each year, the Deathmatch is a high stakes struggle for literary bragging rights! 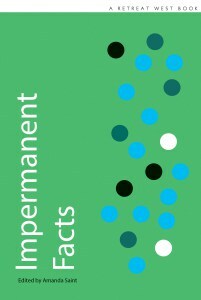 Impermanent Facts is the anthology of winning stories from the 2017 RW Short Story and RW Flash Fiction Prizes. A woman ventures out into a marsh at night seeking answers about herself that she cannot find; a man enjoys the solitude when his wife goes away for a few days; two young women make a get rich quick plan; and a father longs for the daughter that has gone to teach English in Japan. These stories and more make up a wonderful collection looking at relationships of all kinds – the ones we have with ourselves, our lovers, our friends and our mothers. They are funny, poignant, sad and strange but all beautifully written and a fine example of the wonderful writers from all around the world that are creating short stories and flash fictions today. Mid Air has been published in online literary short story magazine STORGY. STORGY was founded in 2013 by Tomek Dzido and Anthony Self as a means by which to explore the short story form and engage with readers and artists alike. STORGY seeks to publish and promote exceptional literary fiction whilst providing authors with the opportunity to reach a wider literary audience. DOWN TO THE RIVER TO PRAY has been selected for publication as part of Dark House’s Sanctuary-themed anthology. The e-book and print collection is due for release in August 2018. Delighted to announce that after much re-reading of the longlisted stories, which you can see here, we have the final 10 shortlisted stories for both the 2017 RW Short Story Prize and RW Flash Fiction Prize. All of which have now been forwarded to the judges for the final round and will be published in the anthology later this year, through Retreat West Books. There were some really fantastic stories on the longlist so well done to everyone whose stories appeared there and huge congratulations to all of the writers on these shortlists. I look forward to working with you to produce the anthology and hopefully celebrating with you at the launch party too. Best of luck for the final round! The results will be announced in February. Thanks again to everyone who has taken part. The extract received an honourable mention in the 2017 Tallahassee Writers Association’s Seven Hills Review and Penumbra Poetry Contest and will now be featured in their print and digital edition. DOWN TO THE RIVER TO PRAY has been published in quarterly short fiction magazine NEW ZENITH. The story is one of the November 2016 Web Edition exclusives and can be found here. Our inaugural story prize welcomed submissions from writers around the world for the chance to win cash prizes and publication on our website, a site with over 100 million web hits. We were overwhelmed with the quality of entries from around the world. This meant choosing a final longlist of 10 has been extremely challenging. But we now have our longlist of 10 great short stories. Here is our longlist in alphabetical order of story title. The top 3 prize winners will be announced on our website on 25th July 2016. Those from the longlist will remain on our website. 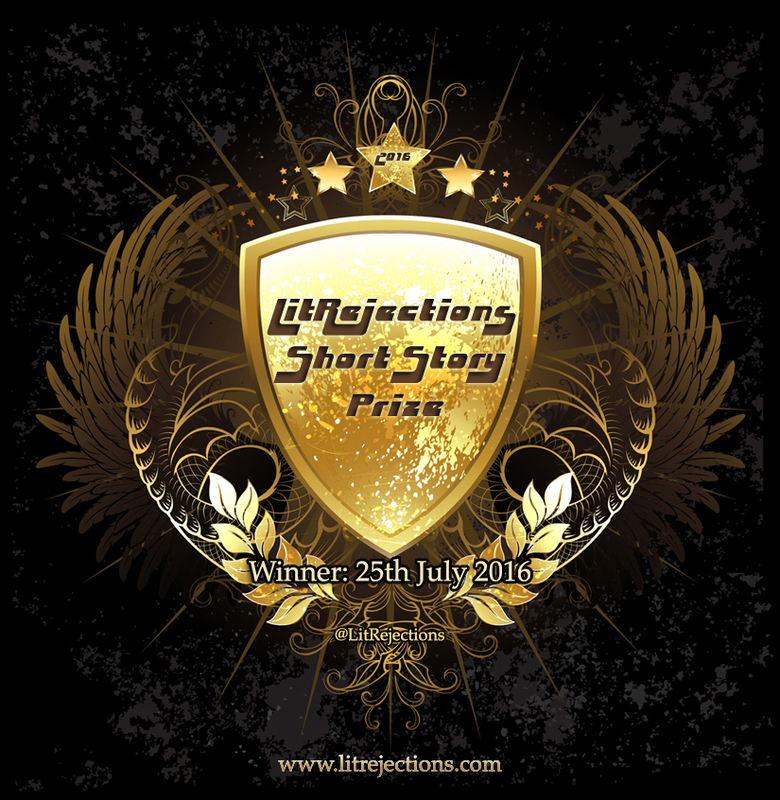 The winning short story will be published on our website on 1st August 2016.